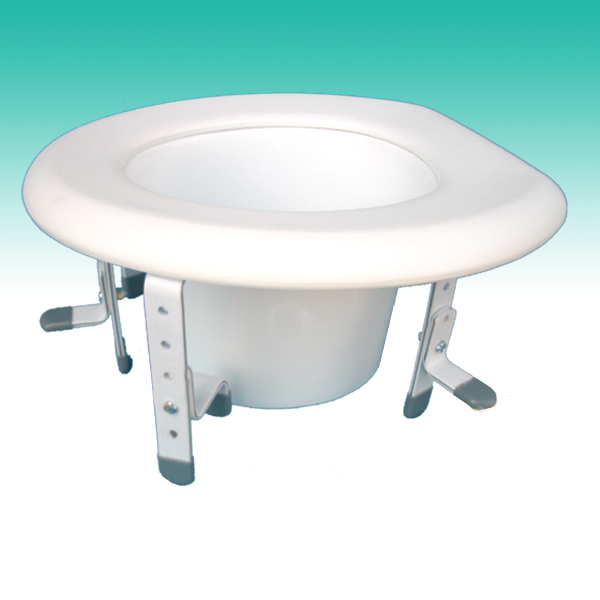 * The Bath Transfer Bench is fitted with a seat that rotates a full 360deg. * Seat slides from end to end. 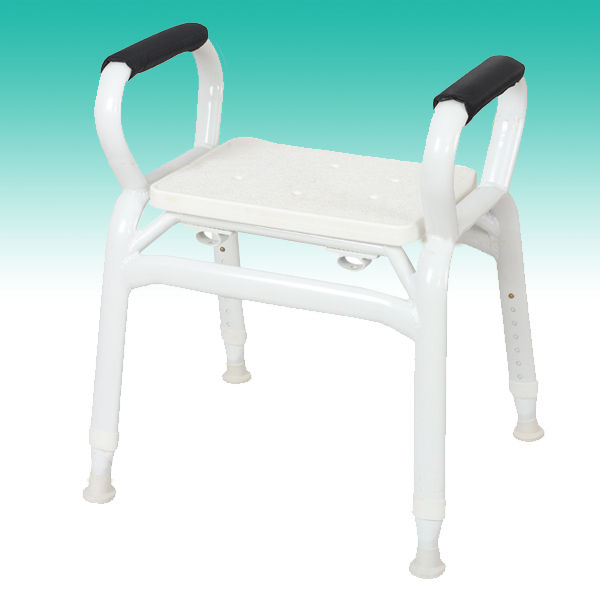 * Entry onto the bench is easier with the rotating seat. * The bench is designed to fit over most bathtubs. * Anti corrosive light weight aluminium construction. * Soft padded polyurethane seating. 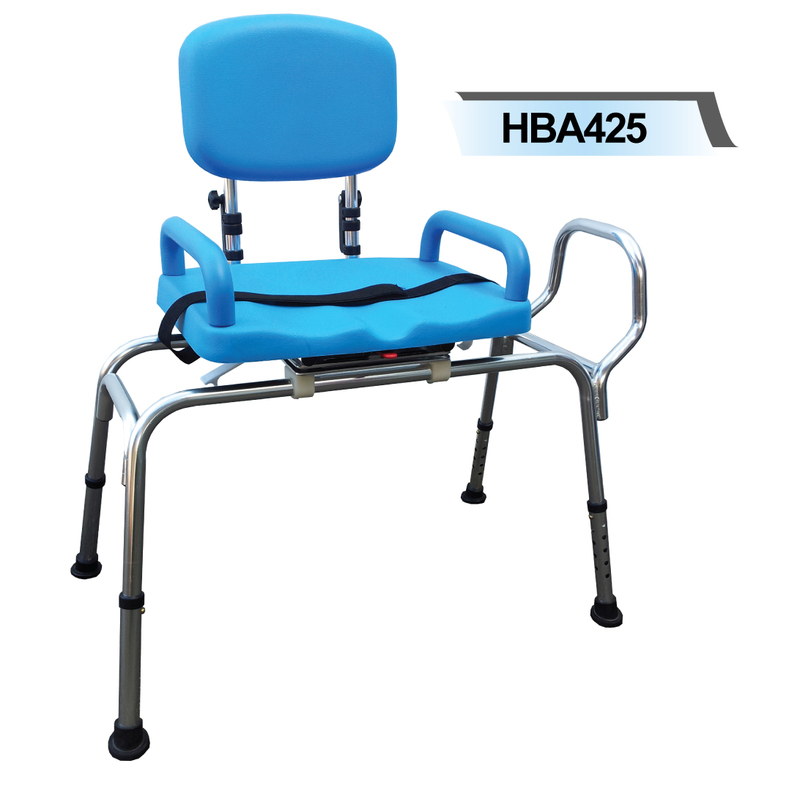 * Backrest is foldable and has soft padding. * Suction rubber tips – slip resistant. * Handles – soft padding. * A safety belt keeps the user in place. * Extension legs – height adjustable in increments of 12.5mm on all legs. 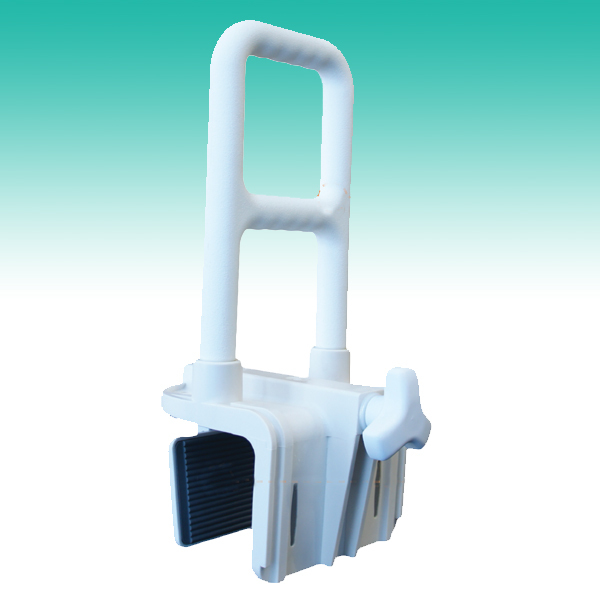 * The seat rotates in both directions – rotational lock at 90deg intervals.